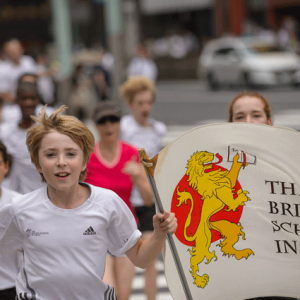 Having recently celebrated its 25th Anniversary in spectacular style, the British School in Tokyo can look back on twelve months of unprecedented success. 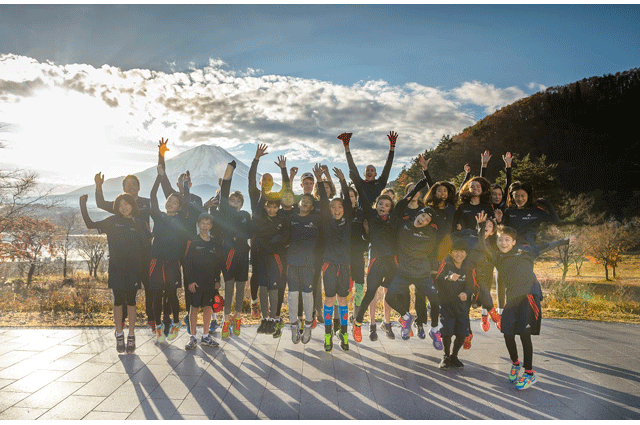 Last September at the start of the new academic year the school welcomed a record number of students; in November, at the 2014 British Business Awards Evening, hosted by the BCCJ here in Tokyo, we were delighted to be named Company of the Year; in March the UK Independent Schools Inspectorate rated the school Excellent in all eight standards; and in July the graduating class of 2015 achieved our best-ever A Level results, going on to win places at some of the world’s most prestigious universities. 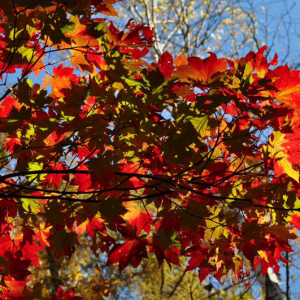 It was definitely a very good year but at BST we tend not to spend too much time dwelling on the past. It is what happens next that counts. 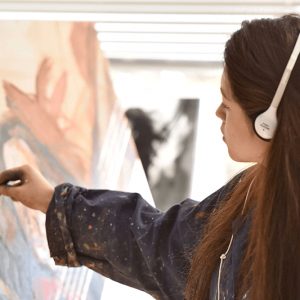 The year ahead promises to be one of similar success and achievement: once again we have more students than ever before, with our pre-university A level program and the Cambridge IGCSE curriculum for 14–16 year-olds proving to be particularly attractive to young people of all nationalities. 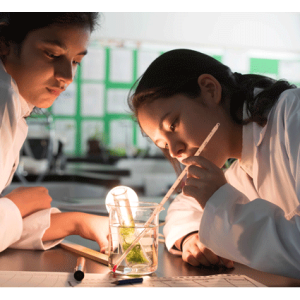 While academic excellence is always a priority and our results are consistently far above the UK national averages, it is also clear that our care for each student as an individual, our focus on character development, and our offer of a rounded education extending well beyond the four walls of the classroom have all struck a chord with the many parents who share our values. Opportunities to practice teamwork and leadership, to explore and build confidence, to exhibit and perform are every bit as important as exam preparation. Underpinning all that we do at BST is our simple model of the young learner we aim to nurture here. 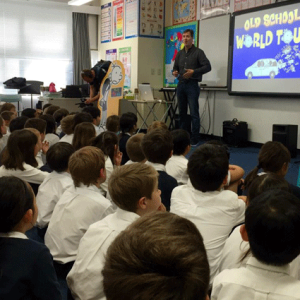 This template guides us as we seek to encourage in our students the skills and attributes that we believe will help them meet the exciting challenges they will face in what has become a demanding and rapidly changing world beyond school. We use the BRITISH (Balanced, Resilience, Inquisitive, Thoughtful, Independent, Self-assured, Honest) mnemonic, not because we consider these characteristics to be the exclusive preserve of young people educated in the British system—far from it—but it certainly helps even our youngest students to understand what BST really stands for and to remember what it is we are trying to achieve here. There is no doubt that good schools are built on the vision, commitment and talent of good people. Almost without exception, our teachers are recruited from the best schools in the UK or from other highly rated British international schools around the world and, uniquely I think, because we know that finding the right people is crucial to our future (and to that of our students) we insist on seeing each one of them teach in their own schools before any appointment is confirmed. Only the best will do. 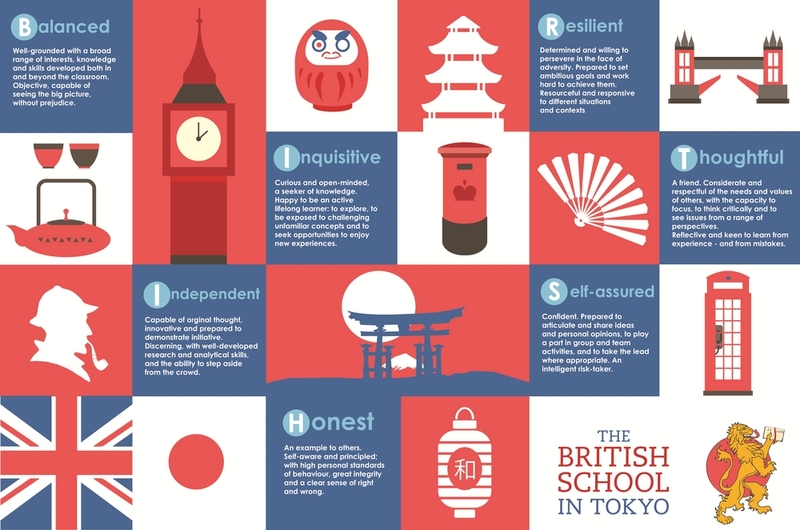 The British School in Tokyo and the community it supports can be proud of the progress of the past twenty-five years, and of the achievements of the last twelve months—but it is the future that counts: the goals for the next academic year, the journey towards the next milestone anniversary. Perhaps it is this ambition, this rejection of complacency, that has resulted in the school’s nomination as British International School of the Year for 2015—or perhaps it is simply because at BST we have the right people in the right place, all playing in tune with each other. Why not come to see us and judge for yourself?